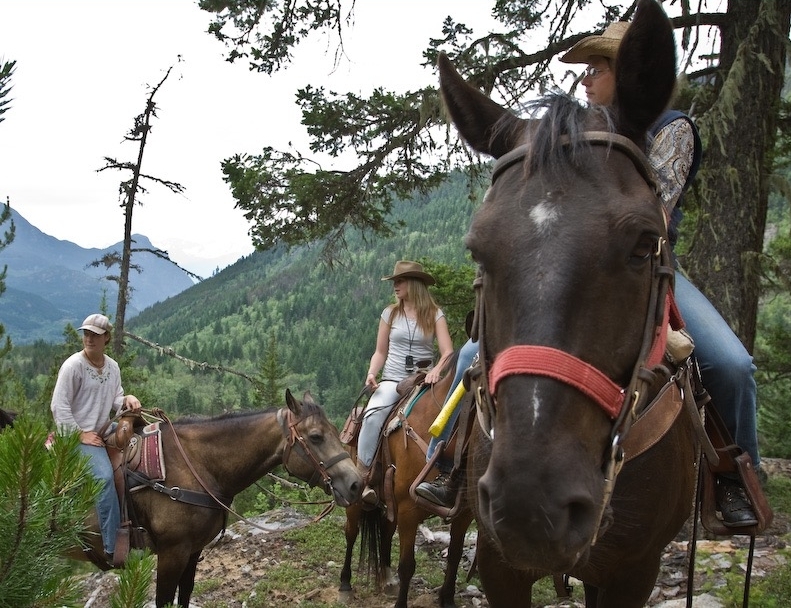 On our half day rides we explore this area on horseback and discover some of the most beautiful backcountry that you will ever see. Under the guidance of our knowledgeable and friendly guides, you will climb steep, well maintained mountain trails to scenic viewpoints. You will lope along a beautiful woodland trail and step quietly through the mystical ‘Enchanted Forest’. 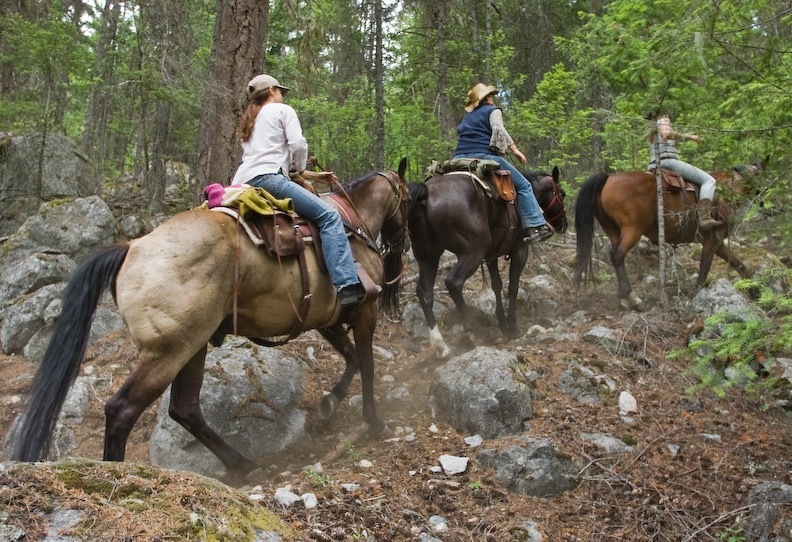 Marvel at the serenity and agility of your sure-footed mountain horse. 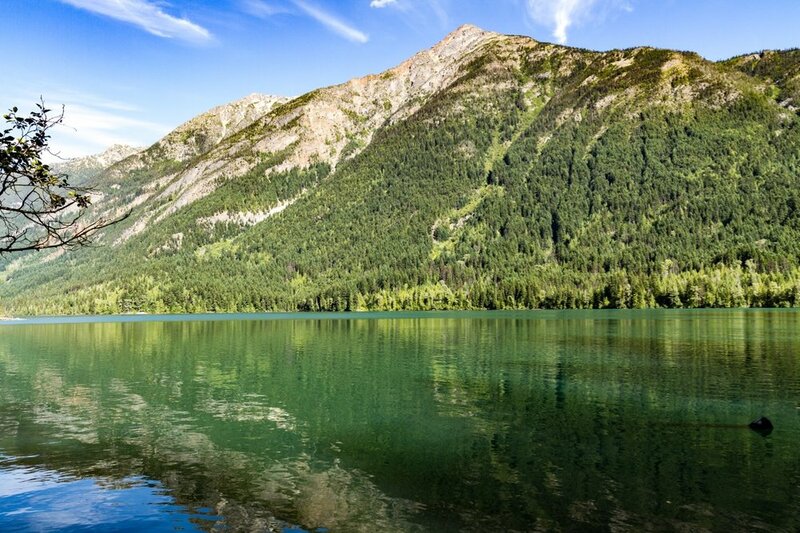 Looking for a day trip from Vancouver or Whistler? 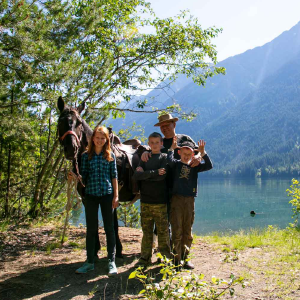 Join us for a half-day ride in the Birkenhead valley followed by an authentic Cowboy Supper at our backcountry camp near Birkenhead Lake. 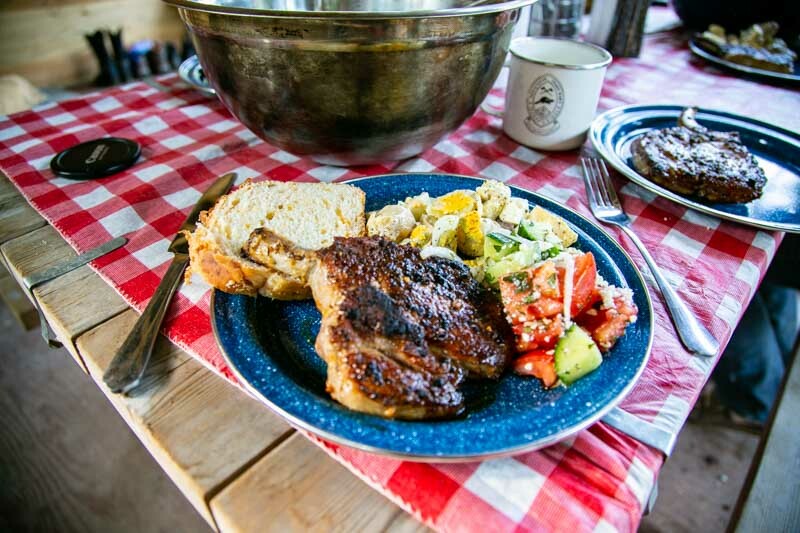 Enjoy a BBQ Cowboy Supper of fresh, local meats and produce* (steak, chops, chicken) along with seasonal veggies, our signature baked beans, and a homemade glass jar dessert. 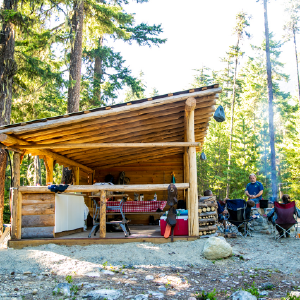 Relax by the campfire under the glow of the evening sunset, and too soon we will take you back to the ranch to return to civilization. 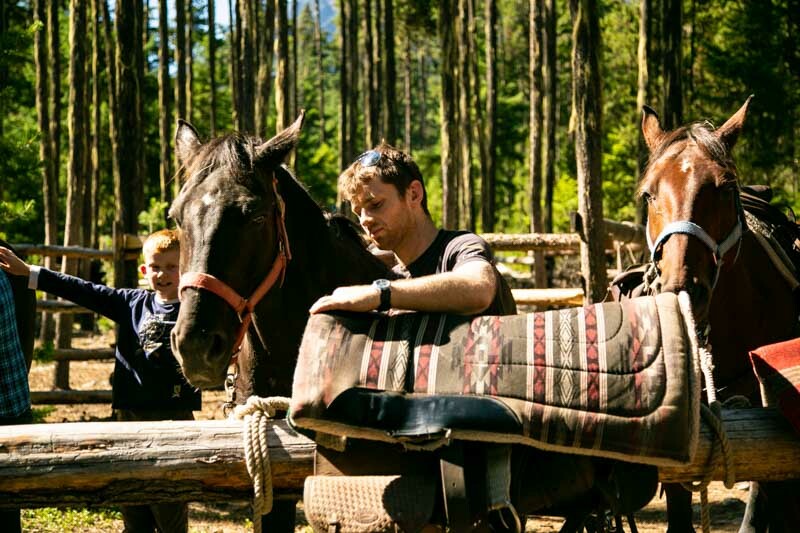 Description: Low-level mountain horseback riding on forest trails followed by a Cowboy supper. ** Note: Minimum 4 people, weekly Monday through Thursday, leaving at 1:00 PM. * Vegetarian and Vegan dishes available.